characteristics with the cuisines of Italy, the Balkans, Turkey, and the Levant. 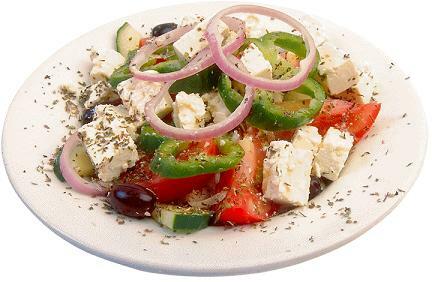 Contemporary Greek cookery makes wide use of olive oil, vegetables and herbs, grains and bread, wine, fish, and various meats, including poultry, rabbit and pork. 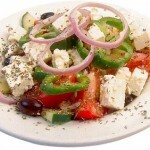 Also important are olives, cheese, eggplant (aubergine), courgette, and yogurt. Greek desserts are characterized by the dominant use of nuts and honey. Some dishes use filo pastry.